Still the best temperature gauge of What The Indie Game Development Scene Is Up To This Year, this year's Independent Games Festival brought in yet another record number of entries (306 to last year's 226), and its just-released finalist selection has brought another round of some of the most innovative and finely crafted games due for release in months. The grand prize finalists this year see a diverse collection of stunt-jumping daredevils, competitively coordinating catburglars, sadistically savory sacks of meat, post-traumatic surreal memory exploration, and militaristic poultry, and its Nuovo finalists -- awarded for boundary-pushing shortform and abstract works -- bring together Atari 2600 haiku, sedan-slamming bears, dark interactive poetry, all-out sensory/perception warping, and a play between light and darkness itself. And so below, ahead of the final winner announcements during March's Game Developers Conference, a complete illustrated guide to all twenty of 2010's IGF finalists across all its categories, with a precis of each, links for more information, and, where available, a link to play all finalists that have already released their games. Can I Play It Right Now? Yes! Dejobaan's latest game might have the most unwieldy name of all the IGF entries, but it's also probably the most literally descriptive: its base-jumping core isn't about flying so much as free-falling, with bonuses for stylishly skirting its floating cities on the way down and tossing flourishes or fingers toward your fans while you get there. Can I Play It Right Now? Not yet. The sharpest among you will remember that A Slow Year isn't the first 'zen'-like experience professor, researcher, and occasional Colbert guest Ian Bogost has designed for the Atari 2600: that honor goes to his Guru Meditation, a stillness simulator created for the retro-tech Wii Balance Board-ish "Joyboard" later ported to the iPhone, in which players win by sitting motionless for as long as possible. A Slow Year takes that zen inspiration a step further with four interactive haiku -- games about maximizing your quiet sunrise pleasure before your morning coffee gets cold, guessing the time/distance between a lightning strike and its accompanying peal of thunder, or closing your eyes and anticipating where a floating stick will be when you re-open them -- that, on completion, will be sold as a new 2600 cartridge, along with a book of poetry. Can I Play It Right Now? In its early Flash form, yes! If you've played Tyler Glaiel and company's original Flash prototype of Closure you've only scratches its surface, as the team rebuilds the game from the ground up as a PC, Mac and quite likely a console experience. If you haven't, start there now: Closure is the very definition of Gestalt-gaming, where what you can't see is quite literally not there -- if the floor is not lit, there is no floor, and the borders of cast light can be jumped on like platforms -- and in its new form is twice as terrifying as you wend your way through its horrible nightmarish blackness. Cogs wears its design on its sleeve: it is little more than a brass and woodwork steampunk tile-swapping game, but what's surprising is how much variety and startlingly clever puzzle design they've been able to twist out of that simple premise, as your playfield expands into further dimensions and shapes. With an iPhone port due before the end of January and its PC version already available (alongside user-created puzzle swapping), you'll likely be hearing much more about Lazy 8's game soon. Can I Play It Right Now? Yes! And on your iPhone, too! Enviro-Bear's one of those jokes that never seems to get old, and takes on its own life once it's told. Built as a one-off competition entry based on 'cockpit' games, Justin Smith's managed to notch up its knee-slap premise -- bears can't drive cars! -- by utilizing a real-ish physics model that makes its ever-increasing cockpit chaos that much more manic. There is, quite simply, no better simulator of high pressure, unskilled driving (bar maybe attempting Grand Theft Auto IV's drunk driving while actually drunk yourself), especially when each consecutive collision brings a heavy rain of branches, bees and rabid badgers that all have to be dealt with via your one non-steering hand. Can I Play It Right Now? Currently only in closed beta. Heroes of Newerth might be somewhat of an odd-man-out on this list, with a sizable and long-standing team behind it (the same as behind strategy/shooter/RPG series Savage) and one of the most traditional designs in the competition, a 'Defense of the Ancients'-alike inspired by the original Warcraft mod. But judged on technical merits, it's hard to argue that S2's engine (and overlaid art direction) isn't half a step away from some of Blizzard's own tech that would eventually inspire the studio. I've only just recently mentioned Hello Games (a team of ex-Criterion and -Kuju devs gone indie) and their sudden burst appearance onto the scene, and now their debut toy-like stunt racer Joe Danger has done a high-jump trick that's landed it as one of the year's top grand prize finalists. Just as LittleBigPlanet is able to re-interpret nostalgia through gorgeously rendered modern tech, Joe Danger is the Excitebike we saw in our minds as we wound our way through its 8-bit paths, only now made 'flesh' and with a hyper-driven focus on physics-enhanced stylized stunts, and a world you can feel Hello's love poured into in every smiley-face mesa jutting into its deep blue sky. Limbo is one of IGF 2010's biggest surprises, both for having fallen completely off the map for over three years (it was originally featured here on BB in early October, 2006), and for re-emerging with one of this year's best-realized atmospheric treats. Despite the time between there and here, it still offers pretty much exactly what you wanted it to from that first video teaser above: a warmly and softly lit monochromatic world that stands in surprisingly harsh opposition to the cold realities that await your young adventurer within (that bit with the terrifying tree-monster in the video? That doesn't end so well on your first encounter), and a series of delightfully modeled physics-based challenges that give that world real weight. It's hard to count how many minds Marc ten Bosch has blown thus far since he first revealed Miegakure at the 2009 Game Developer Conference, and it's incredibly disappointing that this is one of the few of the list that still hasn't had an official (or any, so far as I can tell) video release. Because I can't really explain to you how Miegakure works, and that's why it might be the most frightening game in the IGF this year. I've spent a good amount of time wandering through its zen-like cube-gardens, I've made peace with its placeholder characters lifted cutely from Mother 3, but every time I press the 'B' button, the game instantly reminds me that it's infinitely smarter than I am and that it's hopeless to try and out-think it. 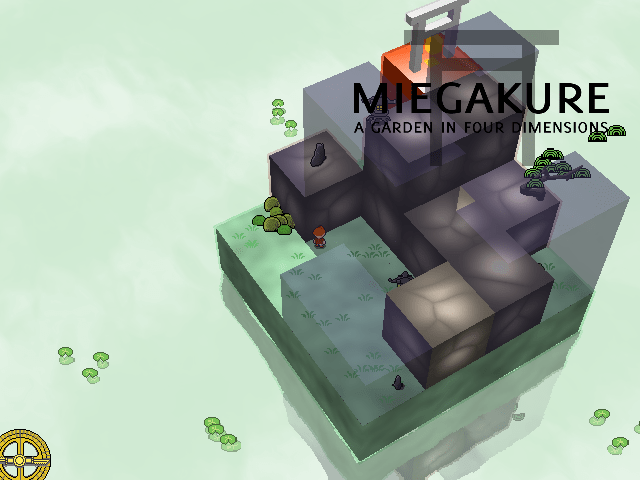 Because Miegakure, so claims ten Bosch, is the world's first fourth-dimension game, and I think it's quite rational that my mind hasn't been properly mapped to deal with that extra one on top. Can it be as commercially viable as Jon Blow's Braid, which taught us to map out and manipulate time as well as space, when Miegakure's extra space is an invisible dimension linking parallel worlds? Where a fourth-dimensional object is capable of casting a three dimensional shadow? This all deserves much more investigation, but it should be clear why the game ended up on the list. One of the most effortlessly clever games in the running this year, Monaco's a tough game to get across in images or video, but makes perfect sense once you're in the game itself. In essence, it's a classic 'heist' game of sneaking through shadows, lifting valuables, and disabling security systems -- not so far, really, from your average game of Thief -- but all displayed from a pure 2D top-down view that not only gives you a better view of your surroundings, but obscures those surroundings through a tile-based line-of-sight mechanic. That means, unless you've tapped into an area's security systems, that you have even less of an idea where guards are roaming than you did in Metal Gear, unless you've got a line-of-sight through an exterior window. More importantly, though, Monaco's best as a multiplayer game, with balanced strengths for each of four different catburglars: one's got the chloroform to knock out the guards, one's the electronics expert, the other's the lockpick, and they all work together to cleanly ransack each of the areas. Monaco feels like a classic tabletop game with arcane rules put perfectly to real-time in a complex but instantly legible way. Long in stop-start development for Xbox Live's Indie Games Channel and PC, Owlboy is the best late-generation Genesis game we never got, with some of the most gorgeous pixel-work that's cropped up in the past several years. For as nostalgic as its 16-bit-era 2D gameplay is, as well, it's play flipped 90 degrees: a platformer -- as you'd want from a game of young birds -- gone almost entirely vertical through a world of floating clockwork islands. The hope here is that IGF recognition will help revitalize the team to make that final push to get the game into our hands. One of the very first IGF entrants to catch my eye back in November, Ratloop's all-Flash/all-chicken take on rotoscoped classics like Flashback and Out Of This World/Another World is both as gorgeous and darkly and comically militaristic as it appears above, and another fantastic example of updating classic design in freshly modern clothing. Unfortunately one of the only finalists that required hardware that put it out of my grasp, Shank's visual art nomination is self explanatory from simply watching any given video like the one above. Indie dev Klei has always had a handle on broadcast-quality animation (see: their early Xbox Live Arcade puzzler Eets, or their still-unpublished arena battler Sugar Rush, but Shank raises the bar considerably with a game that's as gorgeously rendered as it is unapologetically brutal. You might remember the name Sidhe from their work on early PSP and later Xbox 360 and PlayStation 3 ports of the excellent puzzle-racer GripShift, and Shatter continues their fine line of updated classic play with the shooter/Breakout/Arkanoid mashup Shatter. Of particular note here, as the IGF judges have recognized, is its original score by New Zealand synth/ambient artist Jeramiah 'Module' Ross, all of which you can sample (and name-your-cost download) via Sidhe's bandcamp page. The most obviously retro-inspired game of the finalist lot, Star Guard's sparse and stark pixel-work is anything but a crutch to coat warm nostalgia over reedy mechanics. 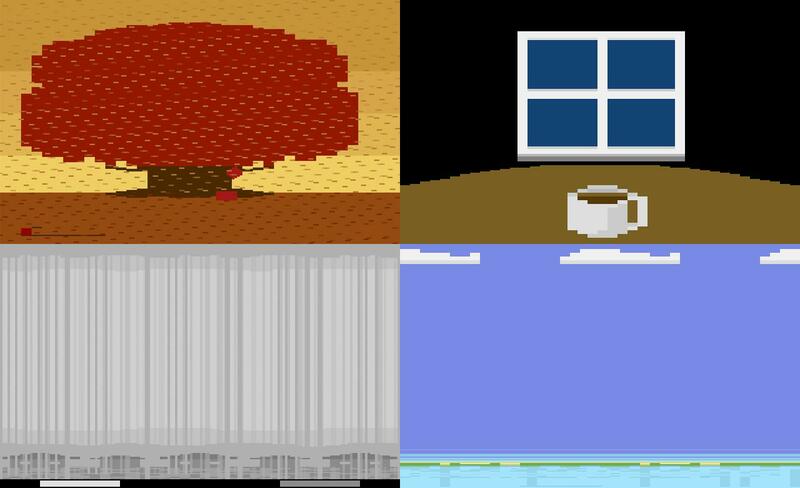 Quite the opposite, in fact: Loren 'Vacuum Flowers' Schmidt's tautly designed game is a reboot to a time when speed- and perfect-runs were the norm, something it reinforces and rewards at every level-complete. It might be kind enough to allow beginners to power their way through to the end, but it never stops reminding you that you could've played that section much better than you just did. Can I Play It Right Now? Only in its early Flash form. Team Meat's upcoming all-singing/all-dancing/all-indie-all-star WiiWare and PC revamp of their Flash original should be a familiar face to regular readers, and its pleasantly familiar but wickedly strict platforming was able to quickly push it to the top of the IGF grand prize heap, proving that you don't necessarily need to do something entirely new, if you can do your take on classic play this well. The same goes for the game's soundtrack as well, as Danny 'dbSoundworks' Baranowsky drops another round of tracks as instantly memorable as his Canabalt score, running the sick visceral squish of the Meat Boy's slippery steps himself. Daniel Benmergui has set himself apart from the start in exploring the root language and storytelling ability interactivity with his early experiments Storyteller and I Wish I Were The Moon, so its probably little surprise that his followup Today I Die would be even more explicitly about language itself. A dark poem that branches and progresses as you play with the very words that tell the story, there's no one else doing what Benmergui did with Today, at least not in this focused and powerful a way. The biggest left-field surprise of this year's IGF, few had heard of Krystian Majewski's point and click adventure going into the festival, and yet it sits next to Closure and Rocketbirds in picking up the highest number of nominations, including the grand prize itself. And that's not by accident: Trauma is a strange and affecting adventure by nature of its subject matter -- as you explore the surreal and scattered memories of a hospitalized girl, post-trauma -- and the way you interact with her world. Like Microsoft's Photosynth tech, Trauma's environments are pieced together with real-world photographs that reveal their subjects from different angles and allow you to push yourself deeper into them, in a way that essentially only Sherlock Holmes web-game 221b has explored before, and will hopefully inspire many more to do so now. Jonatan 'Cactus' Söderström's Tuning, as I recently mentioned here, has been causing a consistent stir from its reveal at my Austin GDC session through to its Indiecade award a month later to now, where its mindfuck-platforming has won it a nomination for the IGF's Nuovo Award. Probably the most curiously accessible of all of Cactus's games -- curious because it's also probably the most aggressively cruel to the senses -- Tuning's jump-a-ball-from-point-A-to-point-B premise would be desperately underwhelming if he didn't bathe your brain in psychoactives the entire time. And then along came Vessel, the game that would try to wrestle the fluid-dynamics crown away from the recently released PlayStation 3 PixelJunk Shooter by basing the entirety of its platforming and puzzling around its liquid physics. Apart from simply sloshing and jostling your fluids to operate machinery and move you from one room to another, the game's cutest trick is in raising -- and learning to control and cope with -- liquid golems, who help you reach otherwise inaccessible parts of each level.